Recently, I had the opportunity to participate in Farm Belly’s “Cooking With Herbs” class hosted by chef and teacher Michelle Aronson. Immediately, I knew I met someone special! After class, Michelle and I chatted about our similar philosophies, home towns, and business goals. Our conversations grew to our decision to collaborate on a workshop. 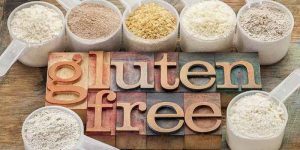 Amidst all the holiday bustle, we decided to move forward with our first project together – to simplify all the confusion, myths and realities that surround gluten free living. Partnering in the lovely new space of Well Dermatology, we are moving forward on this workshop!